For several months, I have been struggling to find a new place to live after I will have sold my house. This process has still not resulted into anything tangible. It may have taken longer than necessary as I have been changing course for several times. Slowly, a picture is emerging. The lack of supply in available Dutch houses does not help in making any decisions. The process of finding a new place to live is frustrating and irritating me. I know that I am a decisive person. I am not afraid of making decisions. My apparent indecision did not make any sense to me. 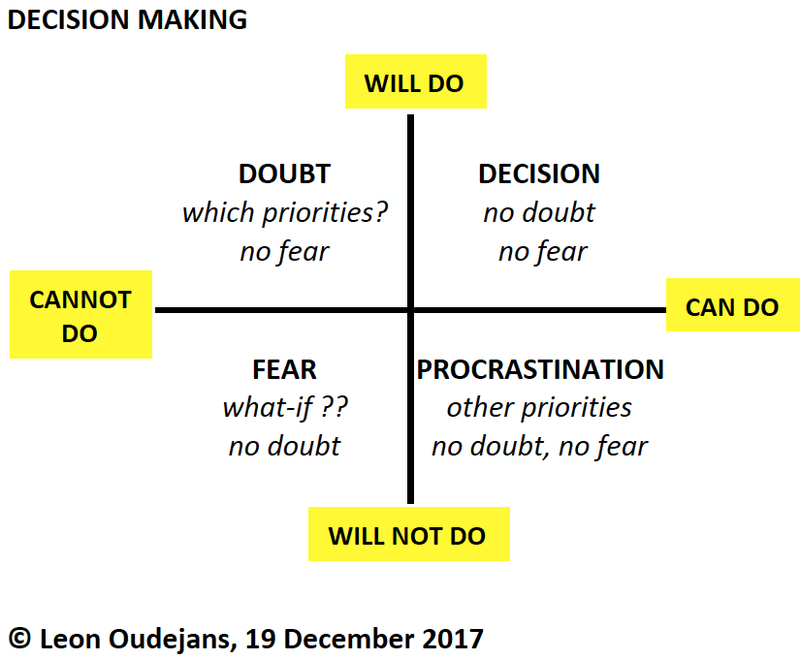 However, my indecision was a good reason for a new blog and a diagram on decision making. 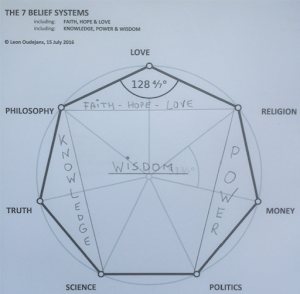 In a way, the results in the diagram are comforting: my indecision is about doubt rather than fear. Considering my Zodiac (Pisces), doubt is familiar to me. It's important to realise that this doubt is rooted in (not) establishing priorities. With hindsight, I must acknowledge that my priorities have long been shifting due to a continued change in circumstances. In September 2015, I published my blog Why do we procrastinate? That blog already indicates that procrastination is about setting other and different priorities. There is no ambiguity which priorities are on the list, or their (official) ranking. Neither is doubt or fear involved. In 2015, I concluded that procrastination is about a time related risk / reward balance. 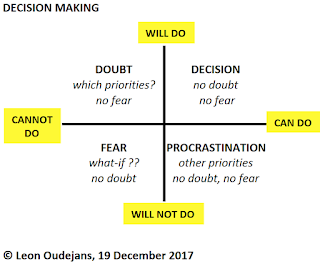 Much to my initial surprise, the genuine type of indecision is in the domain of cannot and will not making decisions due to fear related considerations. This domain is characterised by the notorious "What-If" questions. Removing the fear will enable a decision as doubt was not the issue. The upper-right corner feels familiar to me: my decisions are usually free of doubt and free of fear. Obviously, any decision faces challenges on the information (quality) criteria of completeness, correctness, and timeliness. Assumptions fill the gaps. This is where education and experience enter the equation. "In any moment of decision, the best thing you can do is the right thing, the next best thing is the wrong thing, and the worst thing you can do is nothing." A quote by Theodore Roosevelt (1858-1919), 26th US President.